I've been curious about Greek wine for quite some time but have never been able to work up sufficient courage to dive into the subject. The grape names are foreign and exotic, the producers are totally alien to me, and I just don't have any real frame of reference. I guess I kind of expected Greek wine to resemble Italian wine in the kind of way that the Roman Gods resemble the Greek Gods or in the way that the countries can kind of resemble one another when viewing them on a map (sort of, if you kind of squint and let your mind wander...). But I guess if there was enough of a correlation between the products of the two countries, then one might expect them to be similarly represented in the world marketplace, which is certainly not the case. Italy is currently number one in world production while Greece is a distant 15th in production (one slot behind Moldova!). 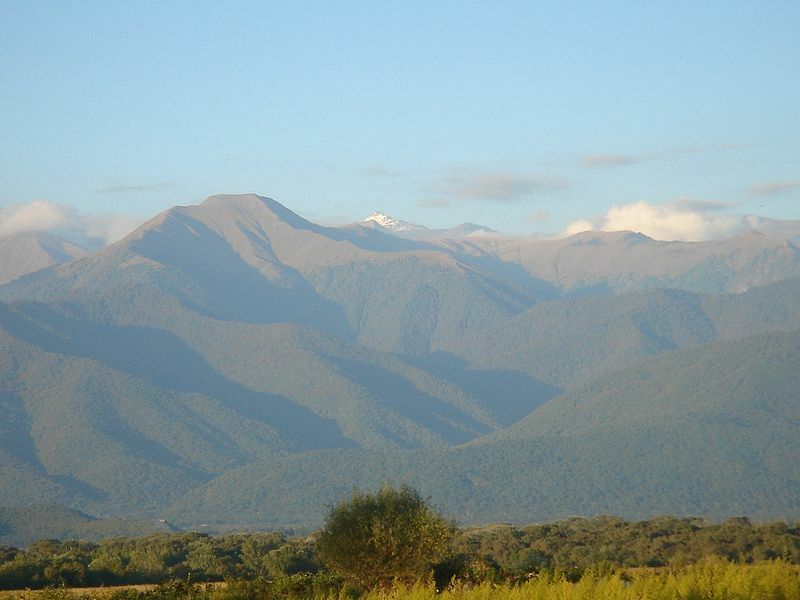 Italy produces about 15 times more wine than Greece does and has about 9 times more land devoted to vineyard acreage. In any case, I decided it was high time to see what they were up to on the Greek Isles and sample some wines with really long, funny sounding names. 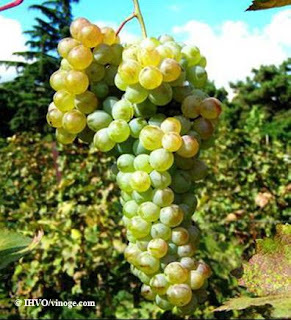 First up was the Agiorgitiko grape which is much easier to say and spell in its Anglicized form, St. George. This grape is an indigenous Greek varietal and grows in the Peloponnese, most famously home to the ancient city-state of Sparta. Apparently Agiorgitiko is a pretty hardy grape that takes well to very warm climates, which is good because temperatures apparently regularly top out over 100 degree Fahrenheit in Nemea, the town best known for its Agiorgitiko plantings. The bottle I bought was a 2007 Agiorgitiko from Skouras Estate, who apparently spells the grape Aghiorghitiko. 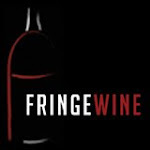 A bit of googling finds that they are in a distinct minority with this spelling, but it's their wine and they can spell it however they want, I suppose. The bottle set me back $15. The wine was a dark garnet color with a little bit of a purple hue. It was fairly densely saturated and there wasn't much of a color change near the rim. The deep garnet color was pretty steady all the way out. The nose started out a little bit sour and acetic, but was really dominated by dark fleshy fruit flavors. Plum and some prune aromas were there, but overall, it wasn't a particularly aromatic wine and it took some pretty concentrated sniffing to be able to tease any individual aromas out of the glass. First impression on the palate: juicy and a little thin. Black cherry and plum flavors were the main fruit components, but they tasted a little stewed. Fine, powdery tannins were present right after I opened the bottle, but they dissipated after about half an hour. The acidity was a little out of whack on this one, making the wine taste kind of sour. There was some kind of spicy undertones going on, but I couldn't nail them down. Clove? Nutmeg? Something in that vein. My wife took a taste and described it tasting "like flat Cold Duck." I'll have to take her word on that. So is it any good? Well, it's not terrible. This wine was pretty one dimensional and plain with a pretty short finish. It wasn't particularly well balanced and really could have used some extra weight on the palate to carry those dark fruit flavors and even out the acidity a little bit. I'm not a Greek wine convert after this bottle, but I'm also not writing them off wholesale either. I'm definitely going to try some other producers for Agiorgitiko and will hopefully expand over into Xinomavro and Assyritiko territory at some point in the near future as well. If you spend enough time exploring some of the more neglected corners of your local wine shop, you may run across this colorfully named wine from Hungary. Egri Bikaver, which translates as "bull's blood from Eger" (Eger is the region in Hungary where this wine originates), is a blend of several different grapes. As far as I can tell, the blending is not standardized, so this wine can potentially have a wide range of different styles and tastes. 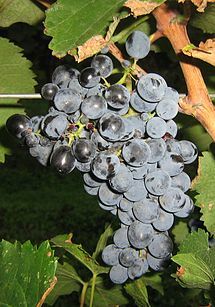 The grapes that are supposed to comprise the blend are Kadarka, Kekfrankos (known as Blaufrankish in Austria or Lemberger in Germany), Kekoporto (Portugieser in Austria and Germany), Cab Sauv., Cab Franc, Merlot, Kekmedoc (also known as Menoire), Pinot Noir, Blauberger and Zweigelt. Yikes! 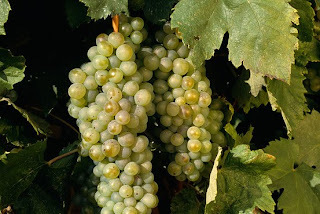 From what I can gather, historically Kadarka was the primary grape used for this blend, but it is a finicky grower and many producers have reduced its role while promoting Kekfrankos to the forefront. Oz Clarke and Hugh Johnson seem to think that this is a turn away from quality, but since I've never tasted "classic" Egri Bikaver, it's hard for me to say. So what about that name? 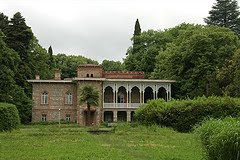 Legendary accounts have it that during a Turkish invasion, a group of soldiers in Eger were under siege in the Castle of Eger. To give them strength to repel the invasion (and, apparently, some liquid courage), they were given a banquet with a great deal of food and a whole lot of wine. They must have really tied it on during the feast, because when they showed up on the battlefield, their shirts were covered in the dark red wine. The Turks believed that the Hungarian defenders had been drinking bull's blood to give them strength in battle, and so they gave up. So what does it taste like? 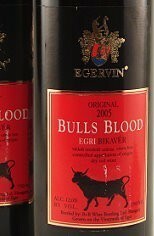 I bought a bottle of Egervin's 2007 Bull's Blood for a whopping $7.99 to find out. In the glass, it was a dark magenta color that was pretty solid out to the rim. It turned a little ruby at the edges. It wasn't as saturated as you might think something called Bull's Blood might be. It looked like a young, pretty well-extracted California Pinot Noir in the glass. The nose was very juicy with a lot of red berry smells. Raspberry and light cherries were the predominant flavors. It wasn't a spectacular nose, but for $8, things were starting to look a little promising. The wine was light to medium bodied, which was a big surprise. I've seen these bottles before and just assumed that there was a big tannic monster lurking in there. Not so, apparently. 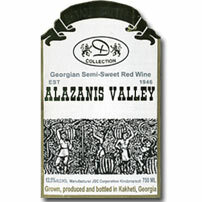 There were virtually no tannins in the wine at all and the fruit flavors were light cherry and some raspberry as well. 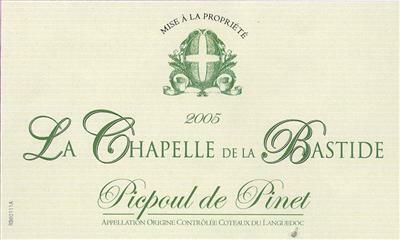 The wine has a sky-high acidity and the finish turns a little musty and sour. 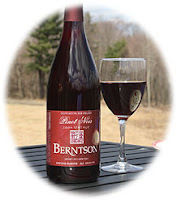 This is certainly not a wine for contemplation or in-depth analysis; rather, it is a very food-friendly wine which would pair nicely with tomato based dishes or moderately heavy chicken and pork dishes. I'd probably stay away from steaks or roasts as it just doesn't have the tannin or heft to stand up to that kind of treatment. 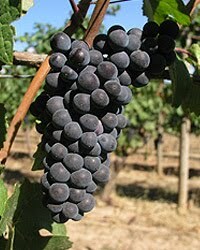 It definitely reminded me of the few Lemberger's that I've had, in that it also reminded me somewhat of a pinot noir. It has the same kinds of ripe, light red berry fruits and low tannin that I associate with lower-tier California Pinot Noir. My guess would be that this is one of the Egri's that lean heavily on the Kekfrankos grape as opposed to the denser Kadarka. I will definitely keep my eyes open and try different brands if I see them around and will post updates below. I figured I'd kick this blog off with a post about a wine that is available across the country, but which many people may not have tried. Torrontés is a white wine which is a specialty of Argentina. 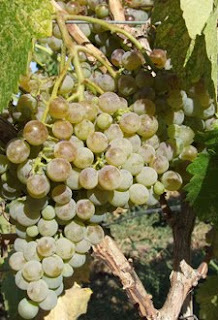 There are apparently quite a few different grapes, all very closely related genetically but not identical, that typically make up a bottling of Torrontés. Torrontés Riojano, Torrontés Sanjuanino, and Torrontés Mendocino are the three individual varieties most likely to be in your bottle of Torrontés, with Torrontés Riojano being the best of the bunch, quality-wise. All three variations are thought to come from a crossing of Mission, a grape with a long history in California, and Muscat of Alexandria, which will make a lot more sense to you once you get a whiff of a good Torrontés. Torrontés is amazingly aromatic, with an explosively floral nose that smells an awful lot like a Moscato D'Asti or a late harvest Muscat from Alsace. One sniff and you'll swear you're about to drink something rich and sweet, but when the wine hits your tongue, confusion sets in. The wine is light and crisp with green apple flavors. The flowers disappear on the palate and the rich, heady wine you were expecting never materializes. It's a slightly disorienting experience that I have every single time I try a Torrontés. I know it's not going to big and sweet, but the message I get from my nose and my mouth just don't want to mesh together. So should you try it? Absolutely. If the wine were merely an exercise in sensory discordance, it wouldn't be worth much at all, but it does deliver in its own unique way. Come for the nose, stay for the flavor. It is an excellent summertime sipper and pairs with a wide variety of foods. Think somewhere between a Sauvignon Blanc and a dry Riesling to get a good idea of food matches. Alamos and Crios are the two producers I have seen the most. The Alamos bottling is a little more restrained and certainly more austere on the palate. The Crios has such a positively knee-buckling aroma that you may be tempted to dab a little behind your ears. It's a bit fuller bodied and flavored on the palate than the Alamos as well. Both bottlings are available for around $15-$20.